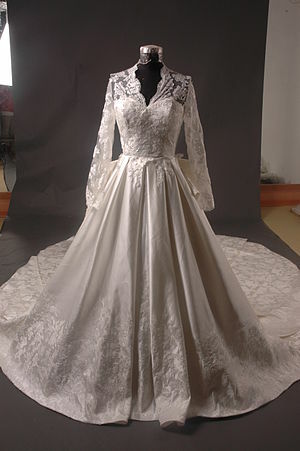 So have that beautiful wedding dress. Right now it is just hanging in your closet, and it will probably be out of date before your daughter is ready to get married. But fear not. All is not lost. You can put that beautiful dress to a very good use again. And I don’t mean wearing it to the store or just hanging around the house it in. As it says in the warning, this is a pretty serious subject, so if you didn’t heed the warning, this might be your chance to bail out. I won’t be offended. Ok you are still here? Good. Thank you. Angel Gowns is a project helping parents and families of those babies who never get a chance to come home from the hospital. 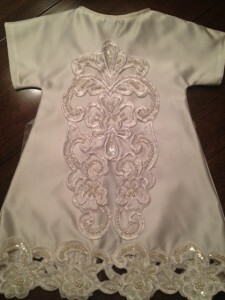 They take donations of wedding dresses, volunteers then make beautiful gowns for those precious little ones. I can tell you from experience that having things like this available, a gown, someone to come in and take pictures of our little one, and other support from NICU helping hands .org were invaluable. I am making a very personal request here. In these modern times when infant mortality is very low, we don’t like to talk about these things, but they do happen, and then they do, the parents and families need your help. If you can donate to a group like this, if you have a wedding dress that is just hanging in your closet, consider donating it to Angel Gowns. If you are a photographer, consider donating your services to <a href="“>Now I lay me Down to Sleep. And take a moment to check out these sites and see if there is anything you can do. Photography: <a href="“>Now I lay me Down to Sleep.